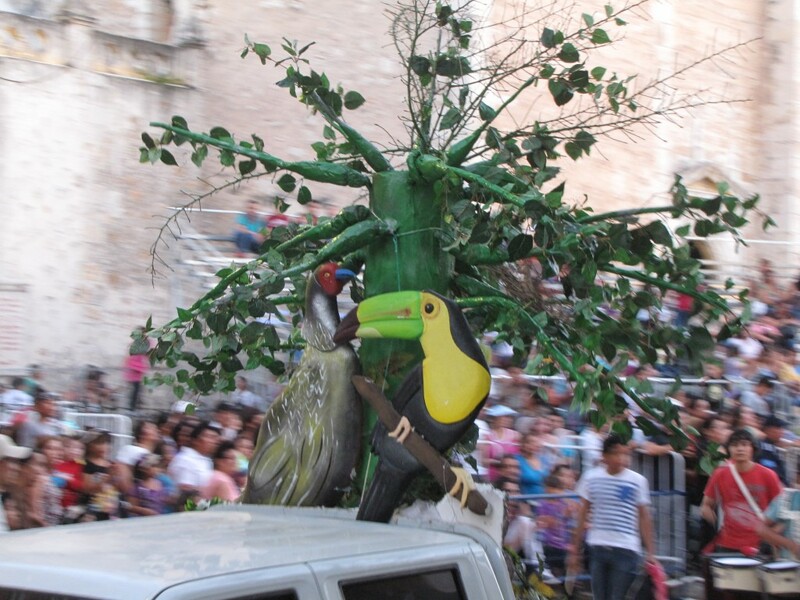 Here in Yucatan there is a long tradition of a talking tree. This tradition apparently pre-existed Christopher Columbus, as detailed in several ethnographic studies, one linked below. Sometimes myth is truer than mere historical fact. If we ponder this mythical tree what might we discover? (I’ve been pondering it for a number of months in the near term, and also for a lifetime.) 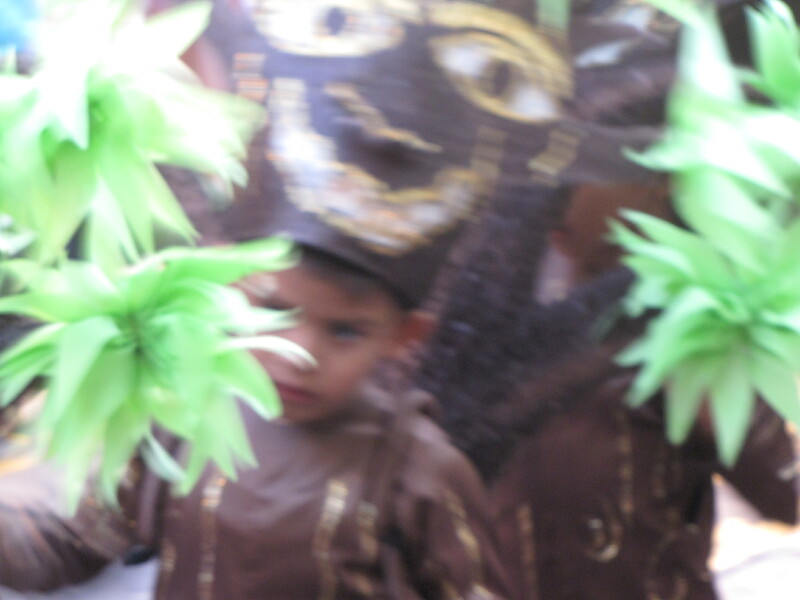 Photos shared here – two taken during that “pagan” holiday called carnaval – hint at my project in terms of inquiring into the nature of consciousness itself. 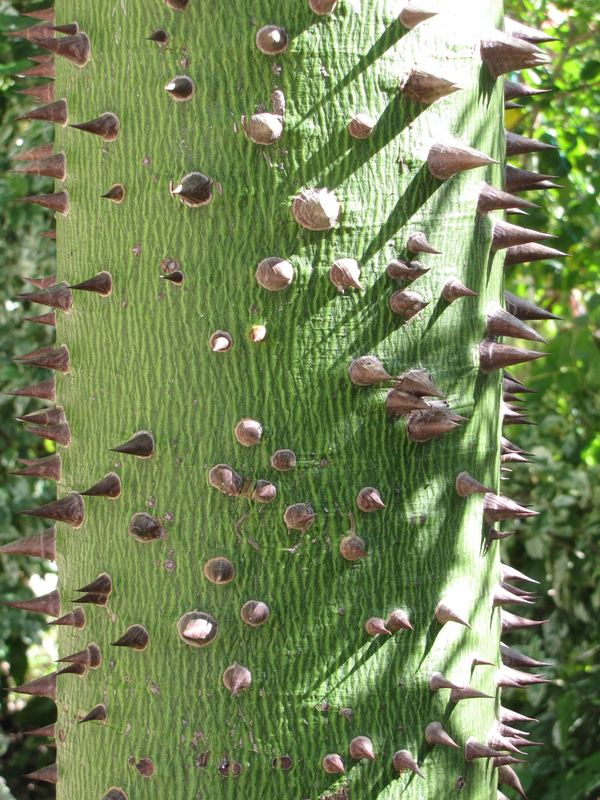 The original inhabitants of Yucatan, the Maya (who are still vibrantly here), consider a thorny tree species known as the ceiba tree to be holy. The thorns fall off at some point after it reaches a foot or more in diameter. Then the tree eventually becomes huge. One near Izimná plaza here in Mérida surely is two meters in diameter. When the Spaniards invaded Yucatan they brought their religion with them, and attempted to impose it on the locals. Such efforts rarely proceed gently. One of the foreign priests, Fr.Diego de Landa, schooled in the methods of the Inquisition, befriended the natives, and then seized their holy books, burning them. This was at a time when Europe was only beginning to revise its understanding of astronomy from the faulty Ptolemaic earth-centric model, to the correct Copernican model, where the Earth revolves around the Sun. The Maya were centuries ahead of the Europeans in correct astronomical modeling of the solar system, and significantly more precise, without having optical telescopes! Who knows what wisdom was reduced to ashes in those bonfires? Exceedingly few books survived. There was also a deadly toll paid by the natives. (Most history has been written by victors.) Recovering the lost wisdom of the vanquished has been a delicate project, at best. But that’s a tale properly told by specialists, which can be read elsewhere. The religion which the Spaniards brought centered on a myth* about a God-man crucified on a tree. The encounter between these two tree-stories is what deeply intrigues me. I’ve been studying and pondering the Christian account for many decades, reading from the Bible text almost on a daily basis. (However, I’ve largely been cured of denominationalism. A denominator, at least in mathematics, is that which is divided – and division no longer appeals to me.) The Yucateco account is new to me. And the merger of these two accounts surrounds us, here in Yucatan. Yes, the church bells ring boistrously; the trees whisper. Are you listening? 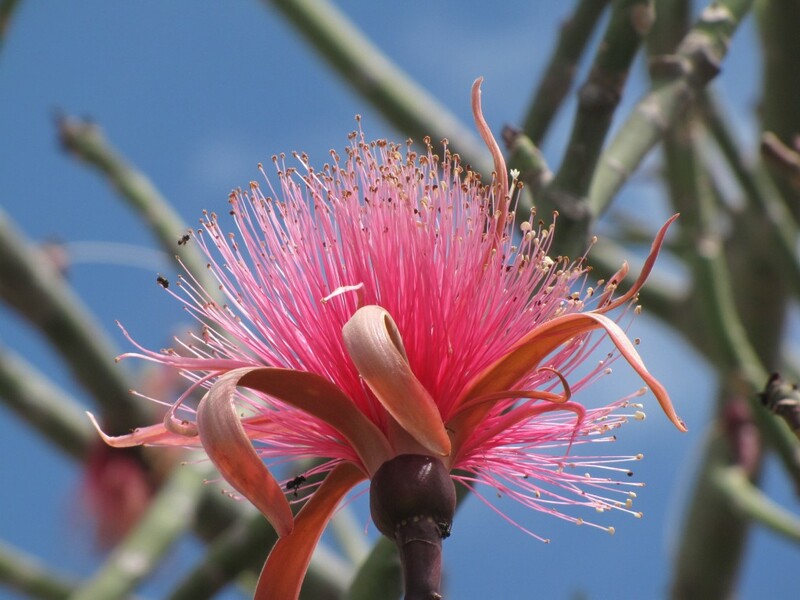 In the very last chapter of the Bible, we’re told that “the leaves of the tree were for the healing of the nations.” (Rev22:2) Now, some trees put forth their flowers before their leaves; and I’ve never known an old tree to send forth old leaves, but only tender young leaves and flowers. What does all this portend for healing? 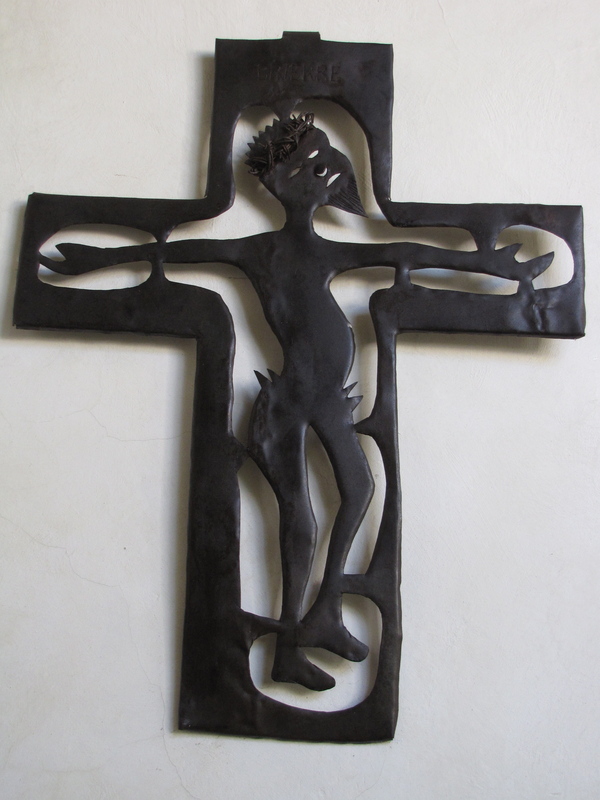 How does something as grotesque as crucifixion blossom into blessing for a world of suffering? I listen longingly for an answer. If a tree could talk, what might it say to you? 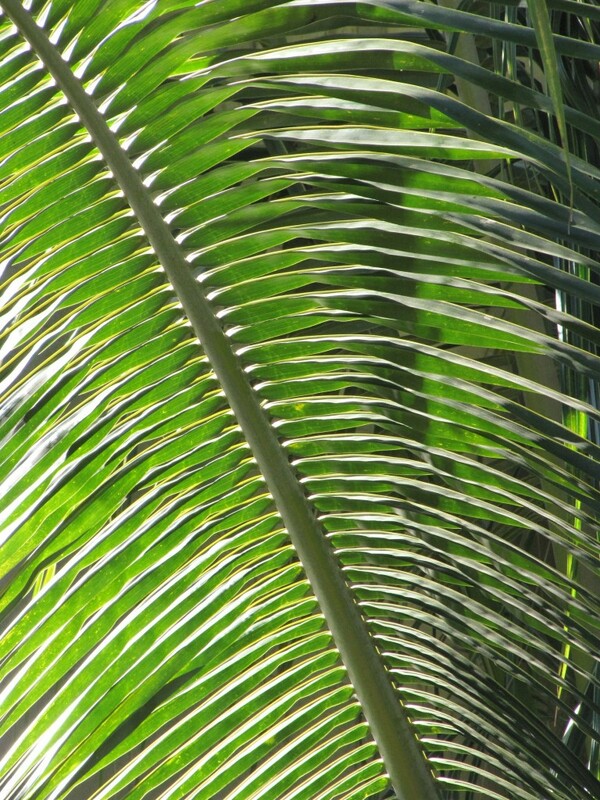 Or even better, what do you long to hear from nature, our context, the very essence of being? On his head were many crowns; and he had a name written, that no man knew, but he himself. As someone who has long lamented the waste of energy associated with harvesting Christmas trees, I have mixed feelings connected with the ecological costs of such cultural practices. But now I’ve been somewhat uplifted by an article in SLATE, here. Sadly, I dropped my camera last week, and it no longer works. I’ve bought another on ebay, but it hasn’t arrived yet. So I won’t have pictures this year. I plan to put up some posts using file images related to the holiday. 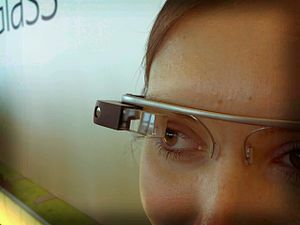 Social networking is about to get scary and weird. Like the eyes of a fly, human society is about to merge all imaging signals together. Here’s a report from Creative Good. What would George Orwell say? BEWARE! Compound eye records multiple images for reassembly by brain. 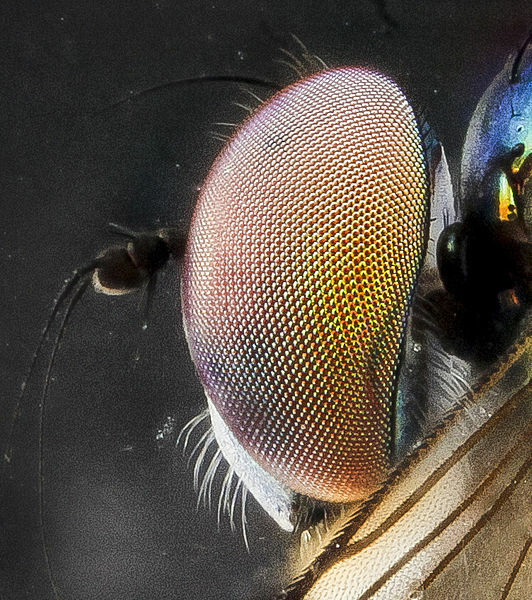 And HERE’s a link to an electron microscope zooming onto the lenses of a fly’s eye. 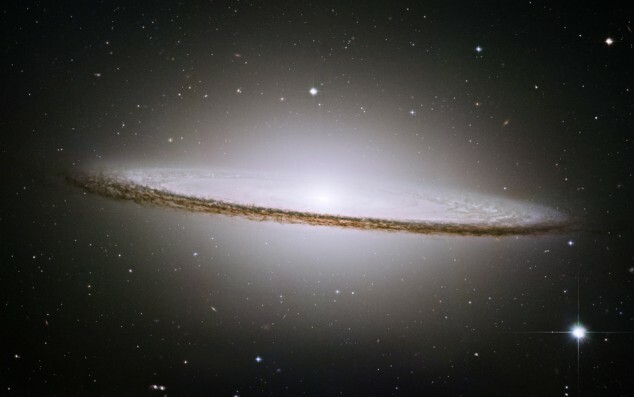 Ever fascinated with hats, I’m amused by this spiral galaxy known as The Sombrero (M104). 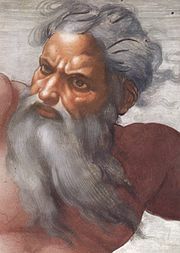 And while I don’t for a minute think that this is what God looks like, I do wonder if S/He likes hats, too. For those interested in things philosophical and futuristic, there is this interview.